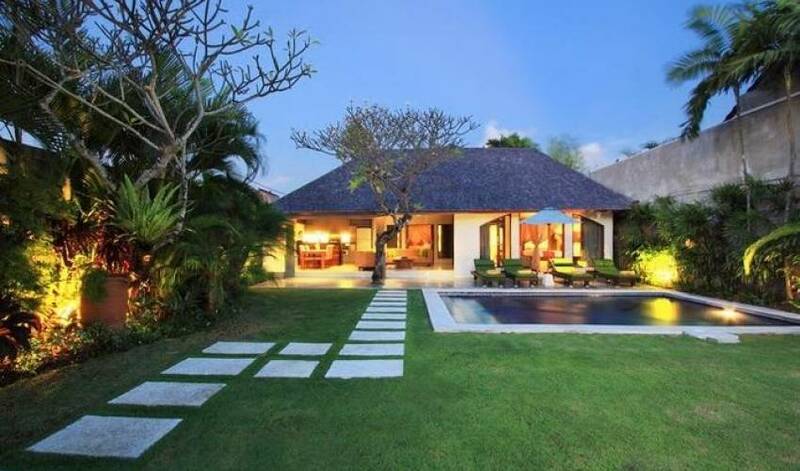 The villa is designed to incorporate Balinese Modern style with spacious open-air living/dining and a lush tropical green space. 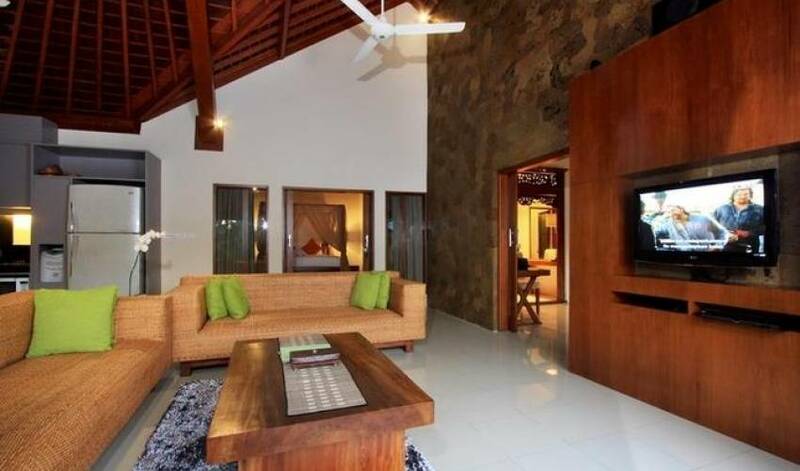 The villa, with 2 double bedrooms with attached bathrooms caters to singles, couples or families up to 4 people and is perfect for intimate dinners and entertaining with friends. 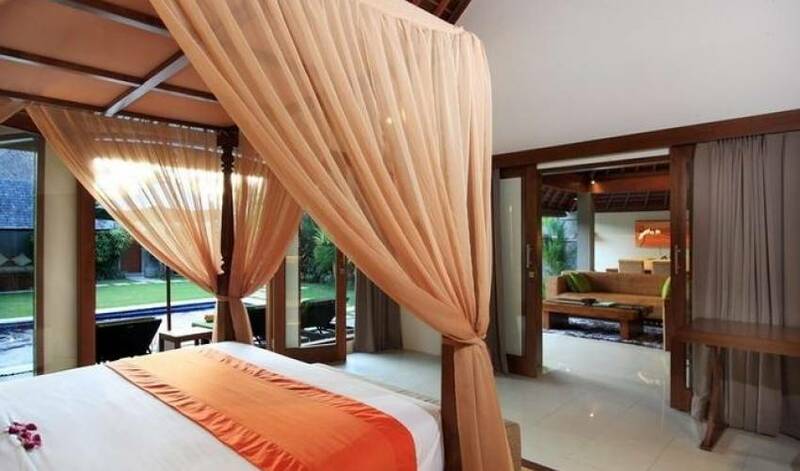 Part of the estate, Villa 357 is one of 8 luxury villas located in the heart of Seminyak district on Jalan Drupadi, an ideal location, minutes away from the beach, shopping arcades, chic cafes, pubs and clubs. 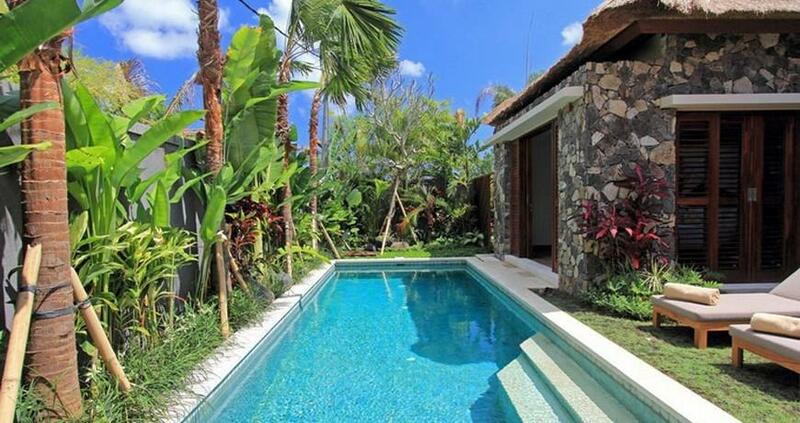 The villa's open-air concept welcomes an airy, natural ambience, setting a tropical island moodduring the day. A cozy gazebo is the ultimate spot to read a book or simply doze whilst gazing over the garden and pool. 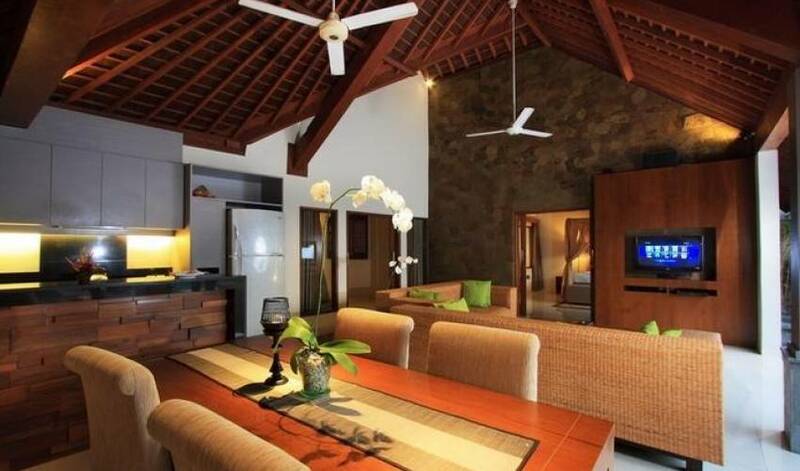 When the villa is strategically lit at night warm romantic ambience comes alive. 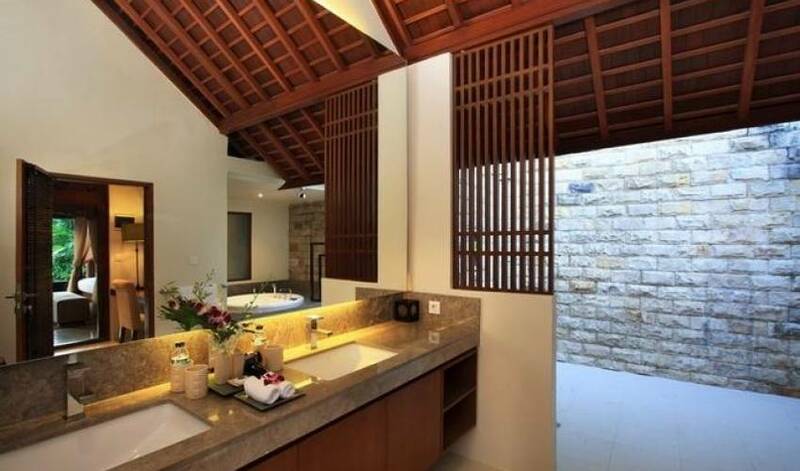 The air-conditioned private bedrooms are replete with Queen sized beds and en-suite bathrooms which provides you with utmost privacy under the sky. Relax poolside on one of the deck chairs under a shady umbrella or for arrange an in-villa massage to further spoil yourself.